Last spring I came across a lilac shrub at our local nursery. Its blossoms had the strongest lilac fragrance I've ever smelled. I brought her home and planted her by our old lilac bush so that they could blossom happily together. But this has been a cool spring so our little baby lilac hasn't shown many signs of life. However, today I looked closer and saw that the poor leafless branches miraculously produced one single large blossom. And she's beautiful. The variety is called Katherine Havemeyer and the flowers are described as 'lilac-blue, double and open from purple buds, with four to eight inch dense panicles appearing in late spring and early summer'. 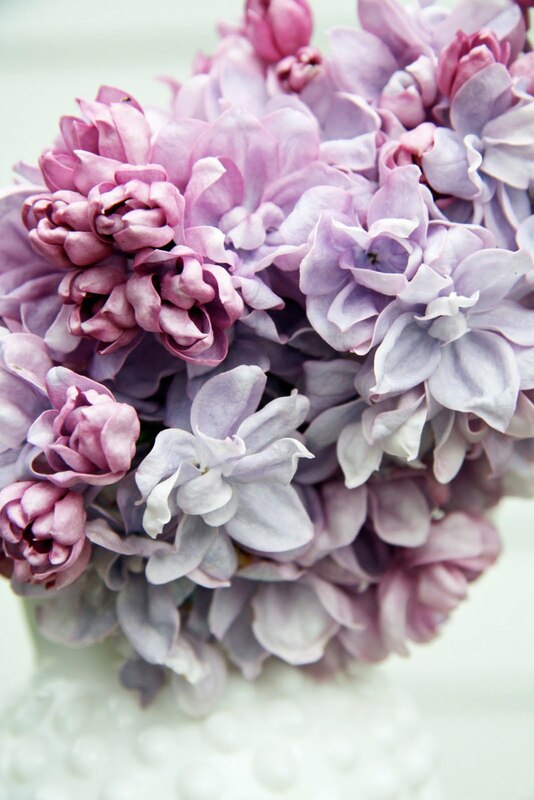 This species is also referred to as the French Lilac and is known for its extremely fragrant blossoms. Perhaps as spring warms into summer, she'll come on stronger and grace us with more of her sweet blossoms. What a lovely blossom. It took a long time for my lilac bush to produce numerous blossoms, but it's worthe the wait. This is absolutely PRECIOUS. What blossoms. She's going to be a beauty once she feels at HOME. I am loving the large petals on the flower. My Miss Kims are blooming now, but the petals are teeny-tiny. I think...no, I KNOW... that I need to find out if I can get a Katherine Havemyer for my yard. It would make the anticipation of spring all the sweeter. Thanks for sharing this tiny wonder! That may be the prettiest lilac I have ever seen. I have been wanting to buy one for a while and never quite got round to it. Now I am glad because I know exactly which one I want (if I can get it here in NZ). I'm very sad that I must have clipped my miniature lilac back too much. Normally I get loads of powerfully fragranced blooms and this year only a few : ( Your pictures are beautiful!!! A sweet hello from Frog Hollow Farm. What a beautiful flower - I've never seen that variety but will definitely look for it. I just love lilacs, they have to be my favorite. That scent, just spectacular! Thanks for sharing - love that little milk glass vase. Ciao, bella. I love lilacs...I am from Rochester, NY, know as the "flower city". We have a Lilac Festival every year for one week in May (yesterday was the final day) in Highland Park. It is an amazing display of thousands of lilacs of all varieties. They make and sell a lilac perfume that is delightful. I think it is a law here to have a least one lilac bush in your yard!! What a beautiful blossom she produced for you! 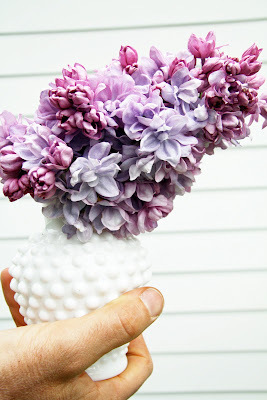 My grandparents had a French lilac bush and it was oh so fragrant and beautiful! what a beautiful bloom. how exciting to see a new species. like tablescaper said, it does take time for lilacs to establish. have a great week trina. Beautiful. That is one thing I would love to plant this year. 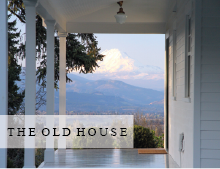 Just stumbled upon your blog and I'm in love! makes me want to plant some flowers! and build a house! I grew up with a lilac grove in my back yard. They are my favorite bush! We have over a doen fuly mature french lilacs in our yard. Spring time here is magical, and the smell is divine! Beautiful! Lilacs are my favorite flowers. Gorgeous! Doesn't it make you feel good when all your hard work gardening pays off? Your lilac probably thought it was dying (cos it was in a small pot and being transplanted) so it produced a blossom in order to "spread it's seeds and leave it's mark on the world". But now that it's in a nice new home, it will want to settle in and will probably take a long time (maybe even a few years) to bloom again. Lilacs are picky that way. Ciscoe just had an entire show on Lilacs, so I learned a lot from him. ;-) You have a true beauty in your garden! She's a miracle blossom!!! The double petals really are spectacular and so lush, I truly wish I could smell the sweet fragrance! With all the tender loving care you will lavish upon her, she will also be thanking you in the coming years with an abundance of blooms...just as your other beautiful lilac has. So very beautiful, love all the different shades of purple. Beautiful! I had an antique lilac bush at my home in Virginia - but now that I'm living the city girl life in NYC - I have to buy them from the corner bodega! 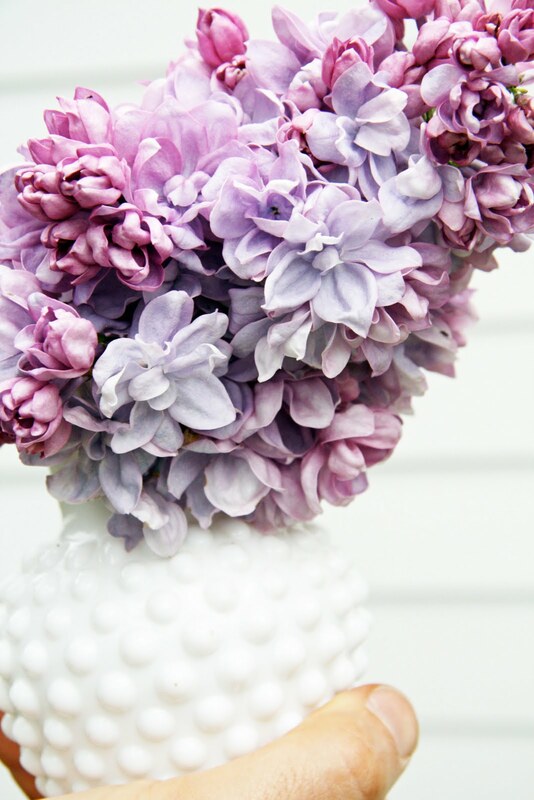 Nothing reminds me of spring more than a beautiful blooming lilac! truly a gift... i love when this happens... enjoy every moment it lasts... i wish they could last forever! still so beautiful, though! hope more blooms will come through! That is a gorgeous variety! I have been thinking about getting some lilacs for my back yard... now I know which one to look for. Hello, Katherine Havemeyer! Stunning! Wouldn't it be delightful to have a flower named after you?!! Beautiful variety. I love a huge bouquet of lilacs! You'll have to learn to make soap or something! I can see it now. Farmhouse French Lilac soap...Or maybe just enjoy the blooms and fragrance? Your photos are stunning! I can almost smell them! I may have to treat myself. It may console me after my puppy dug up the climbing hydrangea that was 5 years old. Your lilacs are gorgeous! I have to follow just for the chance to see more of them.